“If you build it, they will come.” Most of us are familiar with this popular misquote from the movie Field of Dreams (the actual quote is “he will come”), in which a ghostly voice urges Kevin Costner’s Iowa farmer to build a baseball diamond in his cornfield. Following through on this vision despite the risk of bankruptcy, Costner’s faith is eventually rewarded when he gets the chance to reconcile with his deceased father and multitudes of fans start flocking to his “field of dreams” to watch baseball games. Remember the dream part? In real life, establishing a small business such as a private counseling practice requires a lot of preparation, planning and ongoing maintenance. Being a good clinician is not enough. Counselors who have established their own practices say that the other major requirement for success is business skill — and more of it than many of them expected they would need. How will you market your practice? Who will do the scheduling and billing? File the paperwork? Balance the books? These are just a few of the questions counselors need to consider as they contemplate establishing a private practice. Counseling Today asked four American Counseling Association members with experience in private practice to share their stories, their lessons learned and tips for others in the profession who might be looking to strike out on their own. Ryan Thomas Neace, a licensed professional counselor (LPC) and founder of Change Inc., a private practice located in St. Louis, first discovered his entrepreneurial spirit when he established himself as a local DJ at age 15. Neace started working in entry-level mental health positions during his first year of graduate school, and over the course of eight years gained experience in residential, agency, school, in-home, college and community counseling. Along the way, he discovered something crucial: He was an excellent clinician but a terrible employee. During this period of research, Neace was also building a website for his practice on WordPress. He already had some experience working with websites, and anything that he didn’t know, he found through online tutorials or support forums. Recognizing that the most essential part of having an online presence is showing up in search results, Neace sought help from a friend who was an expert in search engine optimization (SEO). The friend taught Neace how to ensure that Change Inc. would show up whenever someone searched online for terms such as “St. Louis____ (anxiety, depression, LGBTQ, etc.) counseling.” Three to six months before Neace was even scheduled to make the move to St. Louis, he was already getting one to two phone calls per week from prospective clients. One month before Neace opened the doors to his new practice, he already had his first few clients scheduled. Today, Neace’s practice continues to focus on SEO even as it has developed a stream of referrals from previous clients and area clinicians with whom Neace has built relationships. Change Inc. has also taken a nontraditional approach to marketing. Neace acknowledges that owning his own practice can be demanding, but for him, it produces less anxiety than trying to work within someone else’s confines. “Certainly, owning a practice increases the stress, though I think it’s a qualitatively different kind of stress,” he says. “Perhaps the most prominent difficulty in ownership for me is the heightening of my personal sense of loneliness, in that no one sees how much I’ve risked or how hard it can be, simply by virtue of the fact that they aren’t owners. But if you’re an entrepreneur of my kind, it is a labor of love where the rewards far outweigh the additional stress. Riggs cautions others to think carefully about giving up additional sources of income while building a practice. “I … regretted quitting my part-time agency work while building my practice. I only made $17,000 that year, and it was the toughest year ever,” she says. In Riggs’ experience, it usually takes two to three years to build a full practice. “I do believe it’s valuable to network and to have a niche but also not to over-focus on that,” she says. However, Riggs does recommends that counselors focus their marketing efforts. “Don’t just send flyers to doctors’ offices. They end up in the trash before a doctor ever sees them,” she says. Instead, she advises that private practitioners find ways to speak directly to their target client populations, such as by holding workshops or giving presentations at service organizations. In addition to seeing clients and running the business side of things, it’s essential that self-employed counselors continue to devote time to self-care, Riggs says. “I’ve discovered my magic number of clients I can see in a row and in a day,” she says. 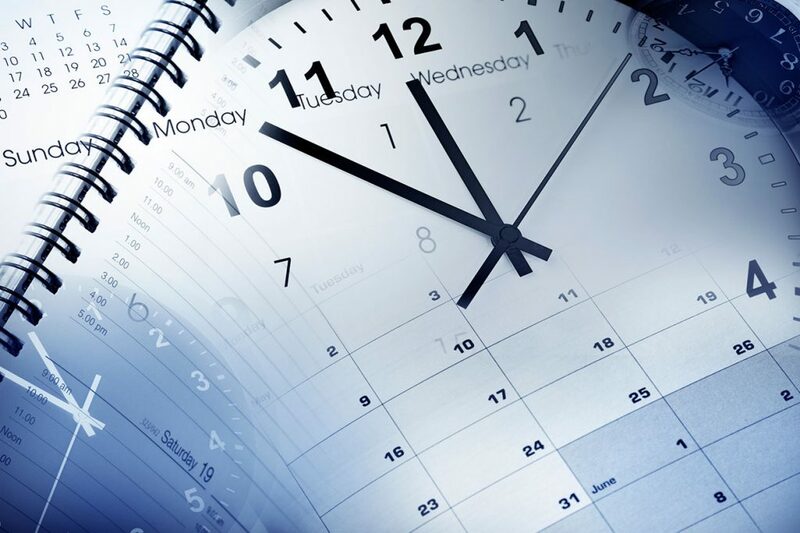 “I’ve blocked time in my calendar as I’ve gotten busier to eat, return phone calls and do administrative tasks. Occasionally, I block a mental health day for myself and spend time with non-therapist friends.” Peer consultation is also essential, Riggs adds. Riggs doesn’t have office support staff but does outsource certain tasks. She employs an accountant and someone to manage her website and consults with a social media expert. She does her own scheduling, billing and filing of health insurance claims with a little technological assistance. Riggs uses practice management software that allows clients to schedule online, sends clients appointment reminders, bills insurance, posts payments and even provides a central place for Riggs to take progress notes and write treatment plans. “I couldn’t manage without it,” she says. Michael Stokes, an LPC and founder of Stokes Counseling Services LLC, in Naugatuck, Connecticut, set up his own practice because he wanted to develop a niche devoted to treating LGBTQ individuals and their families. “There were not agencies focused on LGBTQ services in my area, and this was a significant unmet need in my community,” he explains. Initially, Stokes’ practice was part time, but as he grew more confident with the business side, he decided to go full time. Suddenly, his practice mushroomed. “When I took the leap into private practice full time in April 2012, I was eager to build my caseload to a place that was comfortable,” he says. “What I found instead was that I was seeing way too many clients, and the referrals were not stopping anytime soon. I was seeing about 40 clients a week and knew I could not sustain that level of practice.” Stokes realized that without additional help, he would have to start turning clients away, which he was loath to do. 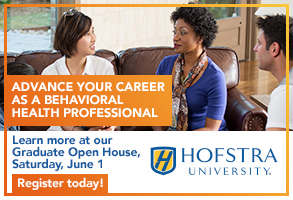 Misty Ginicola, a professor in the counseling and school psychology department at Southern Connecticut State University, is primarily a counselor educator. She began her career teaching, but decided that she wanted to keep her clinical skills sharp. Ginicola, now an LPC with a private practice in West Haven, Connecticut, decided to focus on two specific populations — LGBTQ individuals and highly sensitive people. 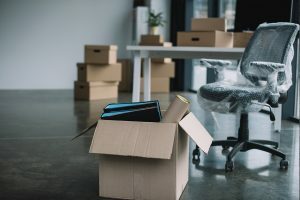 She purchased a website and started the process of completing the business application process for her town, registering for tax purposes, applying for a National Provider Identifier number, and getting on insurance boards, all of which took longer and proved to be more complicated than she had anticipated. Ginicola says she fervently wishes she had known enough beforehand to find someone with insurance board experience to guide her through the process. Striking a balance between teaching, consulting on and conducting research projects, doing clinical work and all of her other commitments requires a bit of juggling and a lot of self-care on Ginicola’s part. Laurie Meyers is the senior writer for Counseling Today. Contact her at lmeyers@counseling.org. Is there an epidemic of emotional support animals? On June 6, 2017, ABC News reported that a man had been severely injured on a Delta Air Lines flight after being attacked by another passenger’s emotional support dog. The dog had been sitting in its owner’s lap in a center seat. The dog reportedly growled before the attack, prompting the man to ask the owner if the dog was going to bite him. The victim received multiple bites to the face, became covered in blood, and was removed from the plane and transported to the hospital. The dog’s owner was in the military and said he had been issued the dog for emotional support. On Oct. 29, 2017, USA Today described an incident in which a service dog, a yellow Labrador retriever, was sitting calmly in an elevator next to its owner, who was in a wheelchair. Then another woman entered the elevator carrying a toy poodle in her purse. Just as the elevator door closed, the poodle jumped out of the woman’s purse and bit the service dog on the snout, causing blood to drip on the elevator floor. After this occurred, the woman first declared that her poodle was a service dog. She then changed her story and said the poodle was an emotional support dog. Finally, she admitted the poodle was a pet that she had just wanted to bring into the building with her. On Feb. 22, 2018, The Washington Post reported that an emotional support dog on a Southwest Airlines flight bit a 6-year old girl in the face during boarding. The flight was delayed for takeoff while paramedics examined the child and declared her healthy enough to continue with the flight. The dog and its owner were left behind. There are important lessons we should take away from these reports, the first being that dogs bite. Or, to be more accurate, dogs without the proper temperament and training to be out in public may bite. Second, people often are not objective about their pets’ behavior and, because of this, may put other people and other dogs at risk for injury. And third, some people, such as the woman with the toy poodle on the elevator, may not be honest about their need for an emotional support animal. The Fair Housing Act that established the right for an emotional support animal to live with its owner in pet-restricted housing does not provide any right for the pet to accompany the person anywhere else. The Air Carrier Access Act established the right for an emotional support animal to accompany its owner during air travel. As a public safety issue, it is extremely important to understand these two pieces of legislation and what an emotional support animal is exactly. First of all, an emotional support animal is not a service animal. Therefore, rights related to emotional support animals are not covered by the Americans with Disabilities Act. Currently, there is no official oversight regarding the qualifications of a pet to be an emotional support animal. There is currently no requirement for a pet to be evaluated by a qualified animal evaluator to be called an emotional support animal. The pet’s owner is the one who decides that the pet is an emotional support animal. The Fair Housing Act regulation about emotional support animals stipulates that these animals do not have to be trained, certified or registered. It is my opinion that the absence of a requirement for proper training and evaluation of pets to be emotional support animals is a real public safety concern. Opportunism and irresponsibility have gravitated to the realm of emotional support animals. Many services now exist, mostly in the form of websites, that charge a fee to pet owners to register their pets as emotional support animals. In reality, this type of registration means nothing because it does not signify that a particular pet possesses a temperament that makes it safe to be around, either in public or on a plane. Nor does this registration mean that the pet has any special aptitude or skill to serve in the role of an emotional support animal. In my opinion, current commercial services that register pets as emotional support animals are mostly a scam. These services take people’s money for no legitimate purpose and mislead the public by implying that people and other animals are free from danger when around pets that are registered as emotional support animals. Presenting a pet as a registered emotional support animal is equivalent to promoting the falsehood that the pet possesses some special qualification. Most of these website services will also sell a vest or some other type of uniform for a pet to wear in public that indicates the pet is registered as an emotional support animal. This can insinuate that the pet must be allowed in places other than the owner’s home or on an airplane (the only two places legislation actually designates that emotional support animals must be allowed). In essence, registration of a pet as an emotional support animal is worthless to everyone except the commercial enterprises that take money from the pet’s owners. A significant lack of understanding also exists concerning the documentation required to establish a person’s need for an emotional support animal. Recently, a counselor forwarded me the official policy of a college in Florida that requires pets to be registered as emotional support animals before they can live with their owners in college housing. That policy is out of compliance with the Fair Housing Act, which does not require pets serving as emotional support animals to be registered as such. And, as a matter of course, the college’s policy is forcing people to participate in — that is, pay money for — a worthless scam known as emotional support animal registration (although the college is likely unaware of this fact). The college’s policy is further out of compliance with the Fair Housing Act because it requires health care and mental health care providers to name and describe a client’s diagnosis or disability when providing emotional support animal documentation. Naming or describing a person’s diagnosis or disability is not required by the Fair Housing Act. 1) The person is under the provider’s care. Health care and mental health care providers should never specify a particular pet as an emotional support animal in supplied documentation. Why is that? One, health care and mental health care providers are unlikely to be qualified to evaluate animal behavior. And two, they would basically be endorsing that particular pet as an emotional support animal, thereby placing themselves at jeopardy for a lawsuit should the pet injure someone. By the way, the flawed college policy I mentioned earlier also erroneously required health care and mental health care providers to describe in their documentation the specific emotional support animal and its abilities. Once again, this is not in compliance with the Fair Housing Act. Another major public safety issue is the documentation that health care and mental health care providers are now supplying to support the seemingly epidemic need for emotional support animals. Over the past few years, I have found that a large number of mental health care providers, including many licensed counselors, are playing loose with the ethics of the duty of care in the way they are providing this documentation. Allow me to outline three questionable activities I have observed or learned about that give me cause for concern. Some mental health care providers supply documentation of a person’s need for an emotional support animal after only a single visit and then exercise little or no follow-up. Thus, the client’s need is not thoroughly assessed or properly monitored. Technically, a person may be considered to be “under the care” of a mental health care provider after only one visit, but in my opinion, a single visit for the sole purpose of providing emotional support animal documentation is a gross misrepresentation of the duty of care. Also, I recommend that mental health care providers place a termination date of six months on the supplied documentation because a person’s condition can change and, thus, so can the need for an emotional support animal. 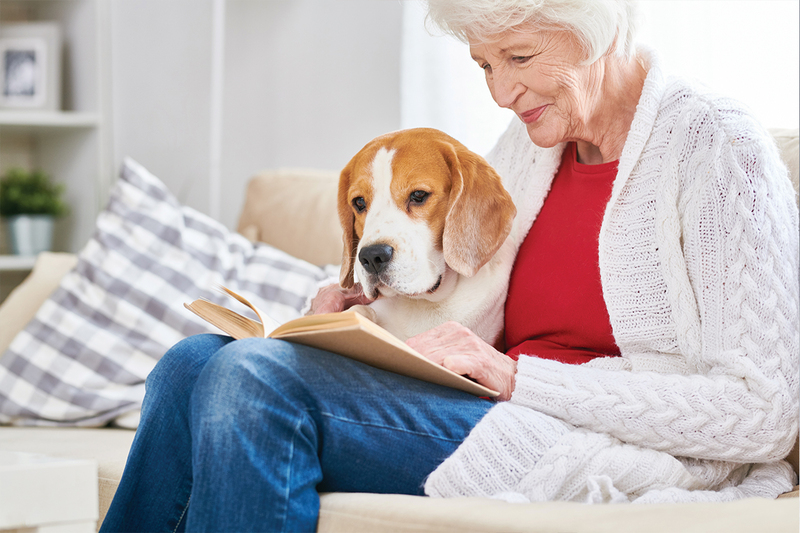 When supplying documentation, some mental health care providers do not assess or consider the client’s ability to determine whether a pet (emotional support animal) might be a disturbance, a danger or destructive. Providers of emotional support animal documentation need to consider their obligation to public safety — that is, their role in helping to protect those with whom a client with an emotional support animal may come into contact. Remember, an emotional support animal is any pet that an owner wants to declare as such. It is unlikely that the designated emotional support animal will have training or have been evaluated for proper temperament. Some mental health care providers supply documentation endorsing the need for an emotional support animal to people with whom they have had little to no direct contact. Consider this scenario: A new for-profit enterprise is growing by leaps and bounds. This enterprise involves website services that document individuals’ needs for emotional support animals. 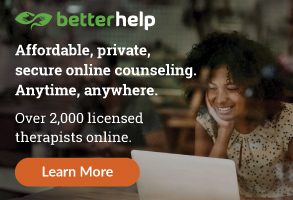 These internet services are recruiting large numbers of mental health care providers, especially licensed counselors, to join a network to review questionnaires completed by applicants requesting documentation of their need for an emotional support animal. On the basis of the questionnaire, and sometimes a brief communication with the applicant via telephone, email or webcam, the mental health care provider assesses the applicant, provides a diagnosis and determines that the applicant could benefit from having an emotional support animal. On the basis of the mental health care provider’s brief assessment and applied diagnosis, the website service then provides a form letter to the applicant after taking a fee. The large and growing number of emotional support animals is highly problematic. The public often confuses emotional support animals with working service animals. Unfortunately, because of this, people have learned that they can get away with taking their emotional support animals just about anywhere, even though they have no legal right to do so. Federal law does not require that a service animal wear a uniform or have documentation. People often do not want to offend a person who may be accompanied by a service animal, so they do not inquire if the animal is truly a service animal. The law places a limit on what a person accompanied by a service animal can be asked. Only two questions regarding a service animal are allowed: Is the animal required because of a disability? What work or task has the animal been trained to perform? Specific questions about the person’s disability are not allowed. Because of the general public’s confusion concerning service animals versus emotional support animals, people with emotional support animals can easily misrepresent themselves as being accompanied by a service animal and go places where they are not allowed. Falsely claiming that a pet, including an emotional support animal, is a service dog is illegal in some states. According to a 2018 article in Texas Monthly, such a false claim made in Texas is classified as a misdemeanor and is subject to a fine of up to $300 and community service at a place that serves people with disabilities. There is no way to determine how many emotional support animals there are, but it is clear they are rapidly growing in number. A 2014 article in The New Yorker detailed one commercial website that registers pets as emotional support animals. It reported 2,400 such registrations in 2011; the number at just that one site grew to 11,000 in 2013. So, yes, we have a growing epidemic of emotional support animals. Lack of official oversight regarding the behavior of emotional support animals, along with the poor judgment of some owners, is resulting in public nuisances and endangering public safety. It has been demonstrated that people want to take their pets places that pets should not go. Furthermore, the public’s confusion about rights of access for service animals versus emotional support animals is adding to the problem. In addition, many health care and mental health care providers are contributing to the epidemic numbers of emotional support animals by their irresponsible, and perhaps unethical, approach to providing documentation. Mental health care providers can also decline to associate themselves with commercial web services that provide emotional support animal registries and documentation, because these services are designed to attract as many customers as they can, as fast as they can, for as much profit as they can. In concluding this article, I want to clarify that I am very much in favor of emotional support animals living with their owners in housing. However, until federal or state governments pass legislation requiring greater oversight for emotional support animals, especially related to animal behavior requirements, and until many suppliers of emotional support animal documentation act more responsibly, we are all going to be at risk for being bitten, especially on an airplane. For now, our welfare is in the hands of the owners of emotional support animals. Cynthia K. Chandler is a licensed professional counselor and a licensed marriage and family therapist in Texas. She is a professor in the Department of Counseling and Higher Education at the University of North Texas and director of the university’s Consortium for Animal Assisted Therapy. Contact her at cynthia.chandler@unt.edu. Counseling Today reviews unsolicited articles written by American Counseling Association members. To access writing guidelines and tips for having an article accepted for publication, go to ct.counseling.org/feedback. Counselor self-disclosure: Encouragement or impediment to client growth? W. Bryce Hagedorn once counseled a client who was wrestling with intense feelings of shame regarding things he had done during the Vietnam War. The client, a veteran of the U.S. Marine Corps, felt responsible for the soldiers he had lost during combat. He never expressed any details connected to these painful and complicated memories, however, until Hagedorn used a pivotal therapeutic tool: self-disclosure. Hagedorn is also a Marine Corps veteran who has served in combat. The disclosure of his military service “opened the door to share things that the client had never shared before, even with going to the Department of Veterans Affairs [for treatment] for years. Before he was able to share, he wanted to know if I would be judging him,” says Hagedorn, a licensed mental health counselor and director of the counselor education program at the University of Central Florida. When used sparingly, professionally and appropriately, counselor self-disclosure can build trust, foster empathy and strengthen the therapeutic alliance between counselor and client. However, counselor self-disclosure also holds the potential to derail progress and take focus off of the client. It is a tool that should be used with care — and in small doses, according to the ethics professionals working at the American Counseling Association (see sidebar, below). Learning how, when or whether to use self-disclosure with clients is best achieved through training, experience and supervision. Hagedorn doesn’t believe that self-disclosure should be an automatic, out-of-the-gate technique for counselor practitioners. Rather, he advises, counselors should consider it a tool to keep in reserve, using it only when appropriate — and with clear intention. Counseling Today recently collected insights about counselor self-disclosure from American Counseling Association members of varied backgrounds and practice settings. Read their thoughts below. We encourage readers to add their own thoughts to this discussion by posting comments at the bottom of this article. Kimberly Parrow is a doctoral student at the University of Montana. She is a licensed clinical professional counselor who specializes in working with clients to address grief and posttraumatic growth. Client comments often spark the urge for self-disclosure. The feelings of connection in a professional counseling relationship tempt counselors to self-disclose, sometimes without warning. I think the consideration of providing personal details to clients occurs regularly [but] believe situations when such disclosures are appropriate are few. Appropriate self-disclosure is client-focused, validates the client’s experience and spurs further exploration. A constructive disclosure is brief, focused on meaning and light on story. a) Is the disclosure grounded in theory? b) Is there any other way to keep the locus of the experience within the client’s world? c) How will the disclosure affect the therapeutic relationship? For these reasons, I think it is important to keep in mind that the decision to disclose should not be made in the moment. An appropriate disclosure is the product of thoughtful planning. I once had a young adult client recovering from a tragedy that killed several people and left him clinging to life. Our work began after several months of hospitalization and physical therapy. A number of sessions became focused on his feelings of dissociation regarding his own near-death experience. He would make statements such as, “I almost died, and it feels like I don’t care.” He explained the feeling was getting in the way of connecting with his family and friends. His support people couldn’t understand why he wasn’t more thankful to be alive, and neither could he. Feelings of isolation and confusion were becoming a sticking point in his recovery. He felt alone in a rare experience. However, he wasn’t and isn’t alone; I have had a near-death experience too. My decision to disclose took several days. The disclosure would be tied to our treatment goals, but keeping the locus on the client was a challenge. A discussion of my experience might be too alluring and could pose a threat to our therapeutic relationship and focus. Eventually I decided on a very brief statement, [saying], “I almost died once too,” and waited for the subject to surface again. When it did, I shared my brief statement. It was simple and powerful. In that moment, he was able to trust that my validation of and explanation for his dissociation was real, because I had also lived it. As a result, our therapeutic bond deepened, and our trauma recovery work gained traction. Benjamin Hearn is a school-based counselor in Columbia, South Carolina. Self-disclosure is something that we all do with our clients from the moment we begin interacting with them. Our clothes, offices and other nonverbal communications all disclose things about [us], either intentionally or unintentionally. Our more common notion of self-disclosure, however, centers on information we share about ourselves verbally with our clients. One piece of information that I have found myself often considering whether to disclose is my identity as a gay male. I most often disclose this information when I have sufficient client rapport and a client voices an incorrect assumption about me, such as asking about my wife. At other times, I may use disclosure to model a healthy gay identity or to promote a sense of similarity between myself and a client. This latter approach was particularly helpful with a teenage client who had recently come out as gay but did not know other gay people and conceptualized them using common stereotypes. In order to keep the focus on him while disclosing, I framed my disclosure with a question afterward, saying, “I’m not sure if you know this, but I’m also gay and wonder if you see me as fitting within these stereotypes?” This allowed my client to explore differences in gay identities, as well as modeling a secure identity. He noted that he was surprised at how casual I had been in my statement, after which I was able to assist him in exploring reasons that he was anxious about his own disclosure to others. Regardless of the content being self-disclosed, counselors should consider the possible risks and benefits of disclosure prior to disclosure and how they will keep focus on the client afterward. This can be done by questioning how a client responds to the information or by ending the disclosure using an empathy statement such as, “I remember when my own child left for college. You feel like the house and your life is just emptier.” Though this statement contains a self-disclosure, it is framed in a way that acts as an empathy statement, which the client is then able to evaluate according to their own experience. Overall, mindful and intentional self-disclosure can act as a powerful technique in the therapeutic relationship [that] can normalize client issues, model healthy behaviors and increase clients’ own self-exploration. John J. Murphy is a licensed psychologist and professor of psychology and counseling at the University of Central Arkansas. He is the author of the book Solution-Focused Counseling in Schools, published by ACA. The decision to self-disclose, like any counseling decision, is based on my judgment of its potential to enhance clients’ goals. For me, self-disclosure is never planned but occurs spontaneously, just as it does in other relationships and conversations. Self-disclosure can help convey our humility, humanity and understanding. Research indicates that the most effective counselors are seen by clients as genuine, compassionate and accessible, and self-disclosure can help foster such perceptions. We started the first meeting by stating that some parents describe parenting as one of the most joyful, gratifying and challenging experiences of their lives. I commented that parenting was much more draining and humbling than I ever expected, adding that “if I made as many mistakes on a job as I do as a parent, I’m pretty sure I’d be fired within a week.” They liked that metaphor and brought it up a few times in subsequent meetings. Both examples framed the experience of making and accepting mistakes — a valuable skill for any parent — as a shared, inevitable part of any major life journey, parenting or otherwise. While neither example was deeply personal or self-revealing, I hope that acknowledging my own parenting blunders and frustrations helped level the relationship and enhance my approachability. Self-disclosure, like anything else we do as counselors, is only as useful as clients’ response to it. Obtaining regular client feedback on their experience of the alliance can also help detect a client’s response to self-disclosure and other aspects of our overall counseling style and approach. Catherine Beckett is an adjunct faculty member in the doctoral counseling program at Oregon State University. She also has a private practice in Portland, Oregon, specializing in grief counseling. Some clients say, “That therapist shared too much; I didn’t like it.” Whereas others may say, “That therapist wouldn’t even answer basic questions about him[self] or herself, and I found it hard to have a relationship with somebody I didn’t know at all.” So, within the bounds of what I believe is ethical and what I feel comfortable with, I will try to be respectful of a client’s preferences in the service of building a positive alliance. The second principle I have found useful is the practice of requiring myself to have clarity about the purpose of a disclosure prior to making it. I suggest to clinicians whom I supervise that they be able to follow any disclosure with, “The reason I am sharing this is …” This serves two purposes. First, it holds counselors responsible for clarity around intention. Second, it makes the purpose or intention clear to the client, as opposed to — and guards against the possibility of — a disclosure coming across as chitchatty, or as the counselor making the session about him/her. I also believe that counselors need to be very cautious about using disclosures to convince a client that we understand how she or he feels. Even if we have had an experience similar to what that client is going through, the reality is that we don’t know how she or he feels. We had our own experience, and the experience of our client may be quite different. John Sommers-Flanagan is a professor of counselor education at the University of Montana and the author of eight books, including Tough Kids, Cool Counseling, published by ACA. My first thought about self-disclosure is that it’s a multidimensional, multipurpose and creative counselor response (or technique) that includes a fascinating dialectic. On one hand, self-disclosure should be intentional. If counselors aren’t aware that they’re using self-disclosure and why they’re using it, then they’re probably just chatting. On the other hand, self-disclosure should be a spontaneous interpersonal act. Self-disclosure is an act that involves revealing oneself. As Carl Rogers would likely say, if your words aren’t honest and authentic, then your words aren’t therapeutic. From my perspective — which is mostly person-centered — the purest (but not only) purpose of self-disclosure is to deepen interpersonal connection. As multicultural experts have noted, self-disclosure can facilitate trust more effectively than a blank slate, because transparency helps clients know who you are and where you stand. What’s less often discussed is that it’s impossible to not self-disclose; we’re constantly disclosing who we are through our clothing, mannerisms, informed consent form, office accoutrements and questions. You might not consider a question as self-disclosure, but every question you ask doesn’t simply inquire, it simultaneously reveals your interests. As I put my hand over my mouth, my client smiled. The rest of the session was — in both our opinions — a rousing success. Zachary R. Taylor is a licensed professional counselor (LPC) and behavioral health director at a health center in Lexington, Virginia. I specialize in working with patients who have chronic anxiety and panic, and I regularly disclose that I suffered from these disorders myself for more than 10 years. The key is being specific about my experiences because many anxious patients feel no one understands what they are going through. Simply saying, “I too was anxious” often doesn’t connect. Instead, I choose specific stories about my many trips to the emergency room, my phobia of checking the mail, the clutching on to my Xanax and my sophisticated driving routes through town to avoid anxiety triggers. When I share these things, it’s usually out of an effort to normalize their experience and get leverage because, if they know I’ve been there, they’re more likely to accept my help not only as a licensed counselor but also as a former anxiety sufferer who has used these same counseling principles to recover. Second, I use self-disclosure to reinforce principles we are working on in counseling. For example, to this day, I still experience scary and sometimes tragic images that flash through my mind out of the blue. These used to send me into full-on anxiety spirals, during which I would go through all kinds of safety behaviors to reassure myself that I, and everyone I loved, was OK. The only real difference between these images then and now is not that the images don’t come back anymore but that I learned how to do things many counselors know as cognitive defusion and psychological flexibility. This is the ability to recognize the imaginary quality of these images and learning how to have the courage to treat them as things I can safely ignore. This example, in particular, is useful when patients believe every anxious thought, image or sensation and take them as something they need to either respond to or repress. It gives them a new vision that recovery doesn’t mean never having another anxious thought but learning to cope with them when they show up. However, we must remember there’s a difference between showing patients our psychological scars versus our psychological wounds. There is a significantly greater risk in revealing hurts not yet healed. We must be judicious in self-disclosure, make it brief, always have a clear therapeutic purpose and have a reasonable expectation that the patient can manage the disclosure and that they never feel the need to care for us in the process. Richard S. Balkin is an LPC and the editor of the Journal of Counseling & Development. He is also a professor and doctoral program coordinator in the Department of Leadership and Counselor Education at the University of Mississippi. I remember being taken aback by this feedback, which seemed to me rather extreme. Not only did I listen to it at the time, but I was influenced by it for many years. Naturally, not shaking hands with the client easily extended to what I could possibly share with a client. If the initiation of a handshake was viewed as countertransference, I could only imagine what my professor would say if I were to self-disclose. Of course, all of this was challenged in my first year working as a professional counselor, when I worked on a dual diagnosis unit with adolescents. Many members of the multidisciplinary treatment team were active in 12-step support programs, so self-disclosure as a means for teaching about addiction and working together was very natural. More importantly, the adolescents seemed to appreciate the candor and learn something from it. No doubt, self-disclosure can be helpful, but it can also be self-serving for the counselor, contributing to an unhealthy dynamic in the counseling relationship. If the curative components of counseling truly are based on the counseling relationship, then counselors might do well to consider how self-disclosure will deepen the counseling relationship. In [the ACA-published book] Relationships in Counseling and the Counselor’s Life, my co-author, Jeffrey Kottler, and I mention ways that self-disclosure can be therapeutic, [including] communicating understanding and acceptance and promoting deeper reflection. Sidney Shaw is an LPC in Anchorage, Alaska, and a core faculty member in the School of Counseling at Walden University. Researchers often describe two types of self-disclosure: immediate and nonimmediate self-disclosure. Immediate refers to process self-disclosures from the counselor about their own feelings or ways of experiencing the relationship with the client. Nonimmediate self-disclosure or counselor disclosure about their life, personal experiences or biographical information is often what counselors are referring to when they discuss self-disclosure. Immediate and nonimmediate self-disclosure both have potential to deepen the alliance and promote client wellness. That said, there can also be negative effects of indiscriminate self-disclosure. The litmus test of whether or not to engage in self-disclosure is to do so only when it will be therapeutic for the client. In the spirit of self-disclosure, I’ll share an anecdote about nonimmediate self-disclosure from my own practice. Early in my counseling career, I worked with indigenous communities, and one of my first experiences was to co-facilitate groups on the topic of healthy families and communities. In preparing for the upcoming groups, my supervisor asked me, “Have you thought about what story you are going to share about yourself?” I replied that I had not considered it, and I could feel my anxiety rise as he mentioned it. 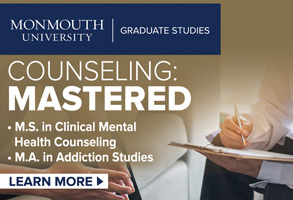 As a recent counseling graduate, I was highly concerned about negative effects of self-disclosure — e.g., too much emphasis on me, communicating that how I dealt with a situation is how the client should deal with it, etc. As my supervisor pointed out, and as supported by my subsequent experience and broader research findings on the topic, self-disclosure is frequently an important element of developing trust in working with indigenous clients. One of the groups that I co-facilitated was on the topic of male family relationships. With this in mind, I shared a brief story about my father, how we had been through a long period in which our relationship was conflictual and how we eventually worked to move toward a more harmonious relationship. Cultural context is an important factor to consider in terms of how and to what degree to engage in self-disclosure. Thoughtful and intentional self-disclosure can help counselors build alliances with individual clients and with communities outside of their own. As counselors, we may initially intend to self-disclose in order to promote client well-being, but self-disclosure can subtly and unwittingly begin to creep toward serving our own needs. The question of whether or not our self-disclosure is therapeutic for the client is not one that counselors should answer in isolation. Ongoing consultation with skilled, wise and competent supervisors and peers is an essential element of helping counselors answer this question. Caitlyn M. Bennett is a licensed mental health counselor and an assistant professor at the University of North Texas. 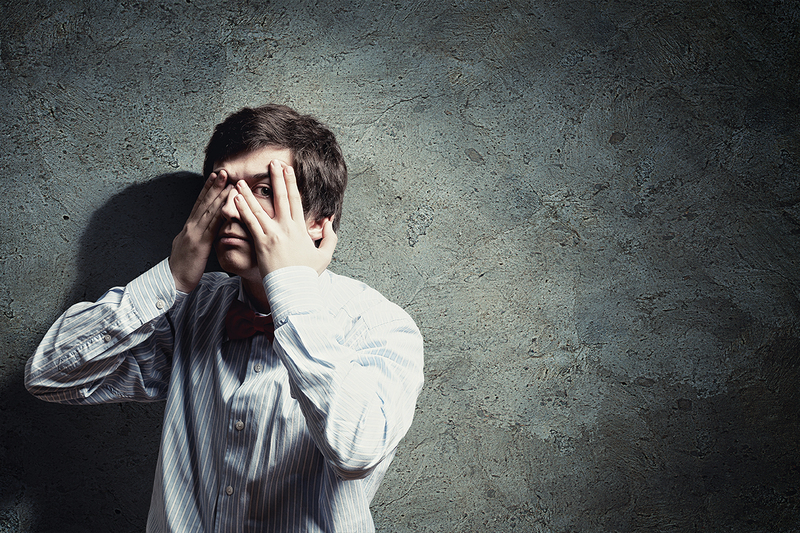 One of my areas of clinical expertise is anxiety, especially in adolescents and young adults. Anxiety has a way of making people feel out of control, and oftentimes, clients have told me that they “feel crazy.” Because of this, I have found when processing and making sense of the physiological aspects of anxiety — i.e., racing heart, tightness of chest, etc. — with clients, it can be empowering and validating to self-disclose my personal physical expressions of anxiety. Prior to this self-disclosure, I find that general psychoeducation about anxiety [and its effects on] the brain and body serves as a catalyst to making sense of anxiety as well as serving as a bit of a normalizing factor. This helps me to gauge whether clients feel connected and understand the physiological impacts of anxiety. For example, their experience of anxiety may not involve as much of the physical experiences. Thus, me expressing my personal physical experiences of anxiety would not be helpful for the client. I have found that this softens and makes exploring anxiety safer and more relatable without taking away from the counseling space being for the client. It also creates an added layer of connectivity for the therapeutic relationship. I have found that some of the most powerful sessions have been when clients feel understood by me as their counselor and also realize that I am only human too. In all aspects of self-disclosure, I reflect on rapport and encourage my students to do the same. For example, I don’t make it a point to self-disclose prior to establishing a working therapeutic relationship. Self-disclosing prior to creating this relationship may create misunderstanding of what counseling will or will not look like for the client. It is also important for counselors to remember that self-disclosure can be such a powerful tool. In my personal process of integrating self-disclosure with a particular client, I reflect on the pros and cons of self-disclosure, the difference of impact in emotional (personal feelings) versus content (facts) self-disclosure, the development of the client and multicultural factors. When I have explored this with counselors-in-training, we often focus on using self-disclosure “for good and not for evil.” That is, will the self-disclosure I choose to use be helpful for my client and their process or only benefit myself? Carol ZA McGinnis is a licensed clinical mental health counselor and approved supervisor. She is a pastoral counselor and clinical director for the AWI Counseling Center at the Fairview United Methodist Church in Phoenix, Maryland, and an associate professor and clinical mental health track coordinator in the graduate counseling program at Messiah College. As a person-centered [counselor], I rarely self-disclose and only after professional consultation and deep reflection on how that content may be of significant help to the client. One client who had decided to drop out of high school and pursue her GED received a brief self-disclosure from me at our termination session. I considered the fact that I had dropped out of high school and earned my GED many years prior to completion of my Ph.D. sufficient to disclose. [In doing so, I] meant to encourage and challenge the client to stay the course. Another client I can recall self-disclosing to was a Muslim adolescent whose parents had asked with concern about my religious orientation. After consultation with my site supervisor and fervent prayer, I decided to disclose my faith tradition along with reiteration of my work that would focus on the client’s beliefs and not my own. It was rewarding to receive a copy of the Koran at our termination session in appreciation from the client and his family. I do, however, use emotional self-disclosure fairly frequently to validate and normalize client anger. Oftentimes, people who come to me for help with their anger feel shame, guilt or fear, and it has been helpful for them to hear that I am in alignment with them when they report an unfair or unjust event as the source of that emotional response. This disclosure does not include circumstances or stories from my life but instead remains strictly within the realm of emotion in the moment. One client example of this type of disclosure involved a [client’s] vague memory of an unidentifiable doctor who had engaged in questionable behavior during a medical physical when she was a teenager. The client could not recall what had happened beyond [the doctor’s] request to have her strip naked and do jumping jacks, yet the anger she held toward him was fresh. When this client cursed through tears at this person in the counseling session, I disclosed my own feeling of anger toward this person because he had violated her trust and his professional mandate to act in an ethical manner. Efforts to report this professional were largely unsuccessful due to the client’s blocked memory, yet the client reported feeling affirmed and validated by our work that focused on mitigating that traumatic event. Practitioners who choose to self-disclose information about their personal lives in counseling sessions often walk a fine line between using it as a tool to connect with clients and diverting attention away from clients and on to themselves. When used incorrectly, self-disclosure can take focus away from the therapeutic work and the needs of the client. When used appropriately, however, practitioner self-disclosure can build trust, strengthen the therapeutic relationship and help a counselor to express empathy. So, how much self-disclosure is too much? Practitioners must always put the client first when using any intervention, including self-disclosure, says Joy Natwick, ethics specialist for the American Counseling Association. Counselors should carefully consider their client’s needs and presenting issues and whether the self-disclosure could trigger an issue with which the client struggles, such as excess worry or caretaking behavior, she says. In addition, self-disclosure should never be used as a response to the counselor’s emotional needs or in situations in which self-disclosure would jeopardize the quality of care to the client, Natwick emphasizes. Self-disclosure should be regarded as a tool to engage clients and help move them toward their treatment goals. If it would have any other outcome, it is unlikely to be the correct intervention to use, Natwick says. Bethany Bray is a staff writer and social media coordinator for Counseling Today. Contact her at bbray@counseling.org. 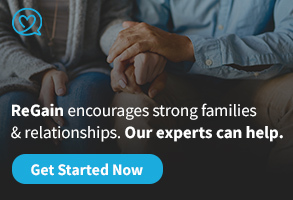 According to the U.S. Health Resources and Services Administration (HRSA), there will be a shortage of addiction and mental health counselors and a surplus of school counselors and marriage and family therapists in the decade to come. These predictions come from HRSA’s workforce projections, released recently for a variety of behavioral health professions, including professional counselors, through the year 2030. Across the country, demand for addiction counselors is expected to increase by 21 percent through 2030, while the supply of these practitioners is expected to rise just six percent. For mental health counselors (defined as a practitioner “who work[s] with individuals and groups to deal with anxiety, depression, grief, stress, suicidal impulses and other mental and emotional health issues”), HRSA predicts that demand will grow by 18 percent while the supply of practitioners will grow by 13 percent. 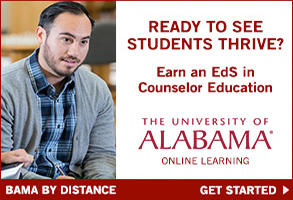 In both cases, this would leave a deficit of many thousands of counselors across the United States. On the flip side of the coin, HRSA reports that America is “producing a relatively large number of school counselors,” with a supply expected to increase by 101 percent through the next 11 years, far exceeding a demand growth of just three percent. Even if public schools across the country were to conform to the American School Counselor Association’s recommendation of one school counselor per 250 students, there would still be a surplus of school counselors in 2030, HRSA reports. 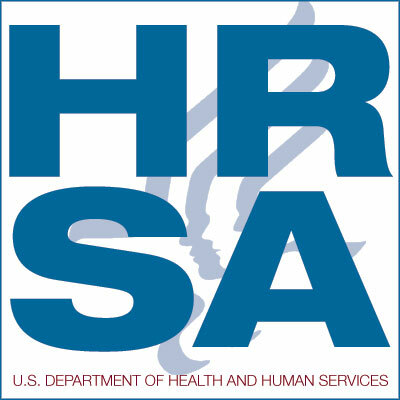 HRSA’s projected surplus of marriage and family therapists is not quite as extreme, with demand growing by 14 percent and workforce supply increasing by 41 percent through 2030. HRSA released these behavioral health workforce predictions in December 2018. This fall, the agency also released a state-by-state breakdown of supply and demand estimates for behavioral health jobs, including professional counselors, psychiatrists, social workers and other occupations through 2030. Follow Counseling Today on Twitter @ACA_CTonline and on Facebook at facebook.com/CounselingToday.